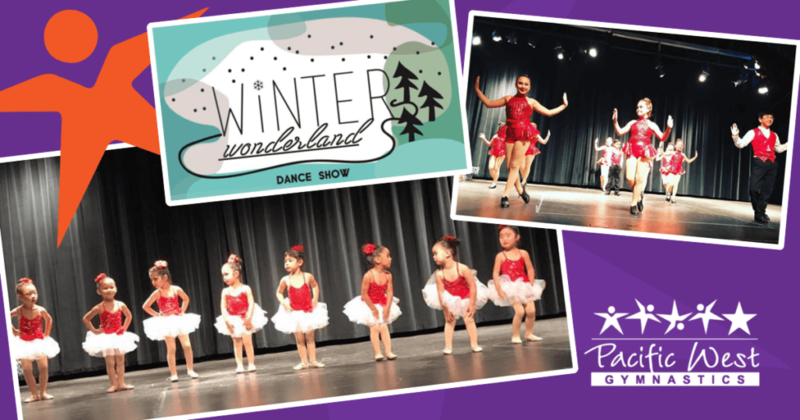 Join us on Sunday, December 17th for our Winter Wonderland Dance Show! Pacific West is happy to announce our annual Winter Wonderland Dance Show, to be held at James Logan High School’s Little Theater on Sunday, December 17th at 3:00 p.m. This performance gives our dancers the opportunity to showcase their impressive progress in a festive winter show! Tickets are $10 each and can be purchased at the door (cash only) or in advance at Pacific West Gymnastics.